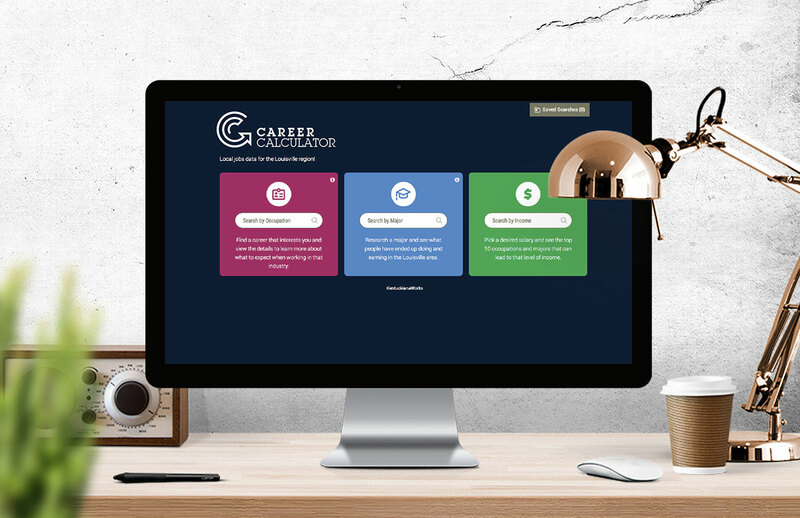 The Career Calculator is an online application, created by KentuckianaWorks, to help job seekers in the Louisville region. 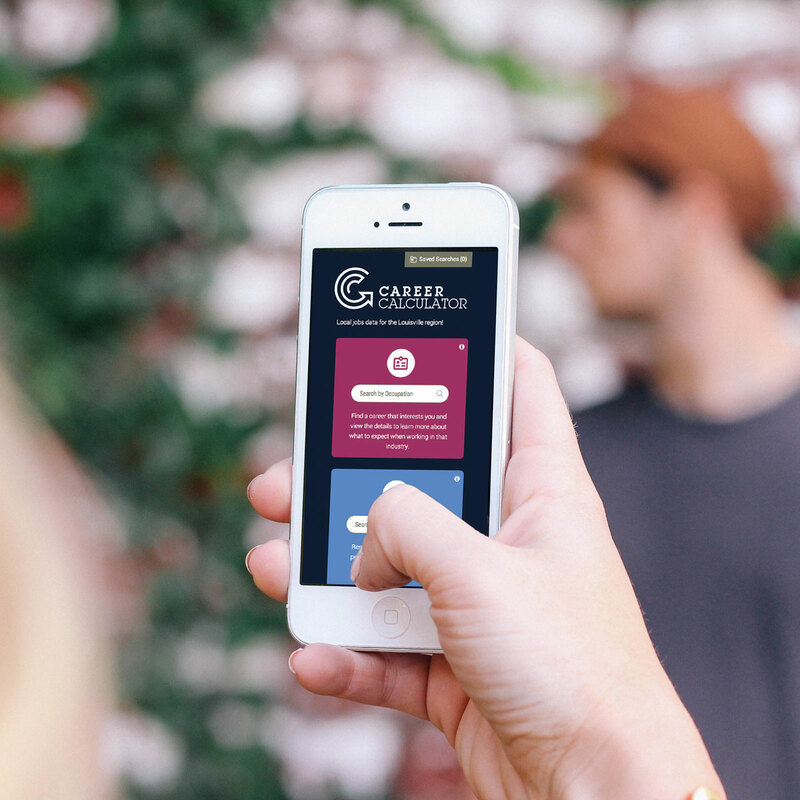 The award winning app allows job search by occupation, major or income. The shape of the logo communicates not only the double C of Career Calculator, but of a path, a labyrinth or maze to symbolize the quest for a new career. The upward arrow reinforces a positive outlook for the job seeker.